My pets are on grain-free diets, so naturally when I buy their treats I like to buy those that are also grain free. I give my dog Bully Sticks to keep his gums and teeth in good shape, but I've wanted to give him something that was especially shaped to reach all parts of his teeth. 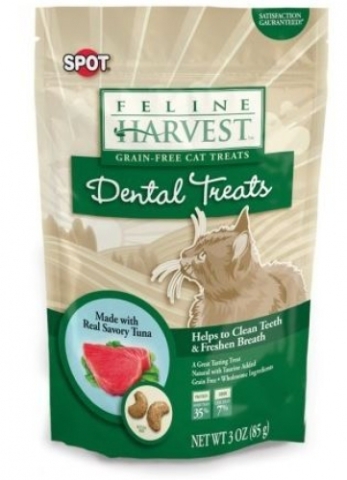 Until recently, I couldn't find any versions of the dental treats that were grain-free. For cats, that was even more of a challenge.... until now. Zuke's Grain Free Z-Bones are my own dog's best friends. It could be because he loves apples! (He doesn't know he's carnivorous.) 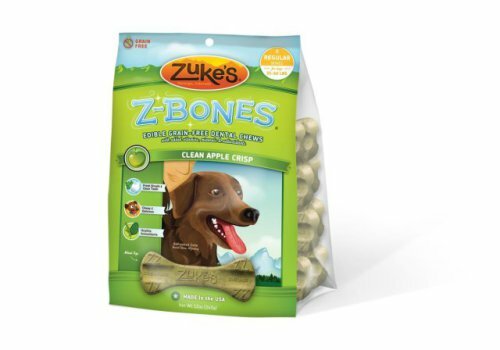 Actually, Zuke's Grain-Free bones come in Apple Crisp, Carrot Crisp, and Berry Crisp. They have a potato and tapioca base with natural breath fresheners such as chlorophyll, clove, vanilla, parsley and rosemary help fight doggy breath. Now what dog doesn't love peanut butter? How did dogs survive in the wild without it? 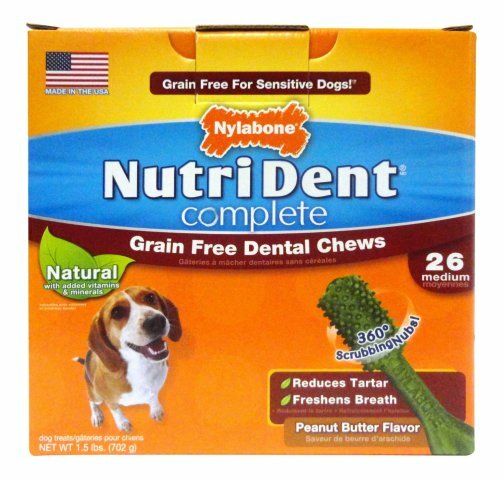 Nutrident Grain Free Dental Chews, also potato based, is peanut butter flavor, has multi-pronged 'scrubbing nubs' to challenge your canine's canines, and has special proprietary plaque and tartar fighting ingredients. In multiple sizes. 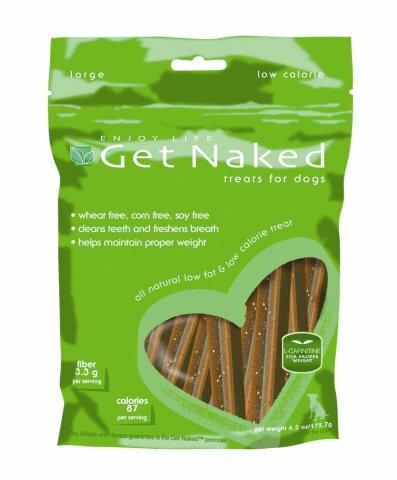 The other great feature of the Get Naked Dental Chew Sticks is that they are not only wheat free, but soy free, gluten free, and corn free. 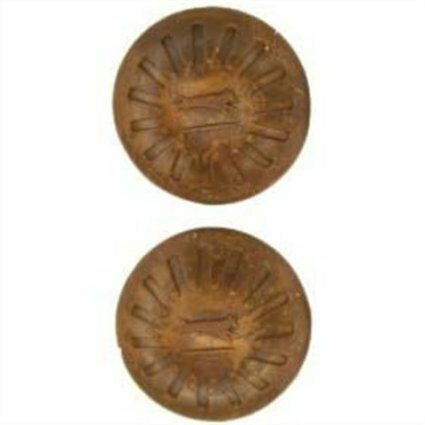 The grooves in the Starmask Everlasting Dental Treats are there to help clean your dog's teeth from multiple angles. And Starmask makes chewing the treats even more challenging with its special treat holders, including the Everlasting Treat Ball, Everlasting Bento Ball, and Everlasting Fireplug. The Treats are wheat, corn, and soy free. Make sure you choose matching sizes of treats and treat holders for your dog! 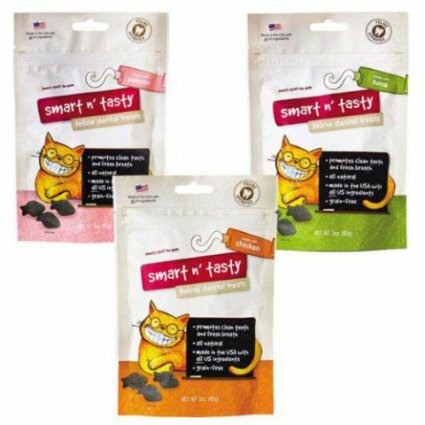 Gluten and grain free, the Smart n'Tasty Cat Dental Treats come in 3 flavors - chicken, salmon, and tuna - and are only 2 calories each! Yummy too! 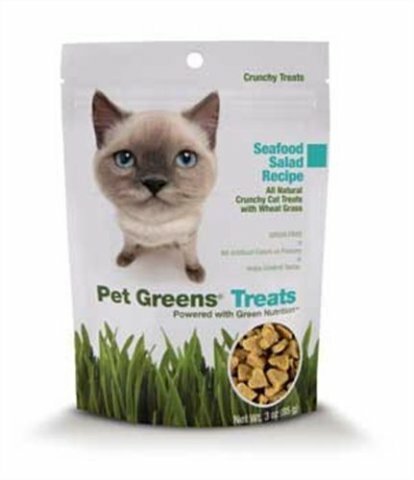 Available in Chicken, Salmon, and Tuna flavors Spot Feline Harvest cat dental treats contain lots of protein meal in each package - chicken, tuna, duck, salmon, and lots of peas too! Nice crunchy chips for your kitty. Make sure you brush your pet's teeth regularly too. It will save you a lot of money in pet dental bills! Originally published October 2013 and updated May 2015.